When you come across the word ‘Prithvi’ it actually signifies ‘earth’. Since many ages, the cures pertaining to earth are far more capable to offer comfort to the torso elements. As the Prithvi mudra helps to establish the equilibrium within the body, it reduces stress and simmers down the Agni element. So, the mudra is also called as the Agni-shaamak mudra. 1 How to Practice Agni-Shaamak Mudra? How to Practice Agni-Shaamak Mudra? 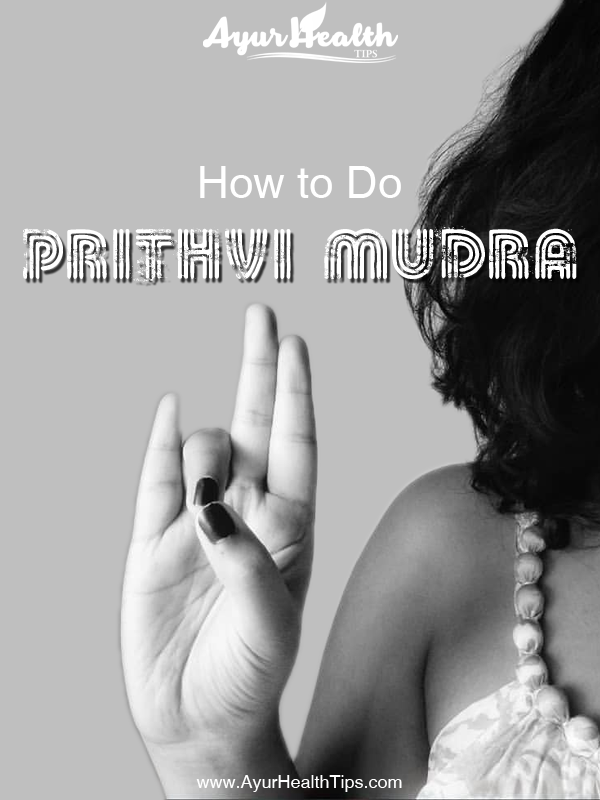 It is pretty easy to practice Prithvi Mudra. Firstly, you have to bring the ring finger and the thumb closer. Ensure that you join the tips and apply little pressure. Since you don’t have to maintain a certain position, you can do this mudra while you enjoying a show on the television set, traveling, or when you are occupied with the day to day tasks. 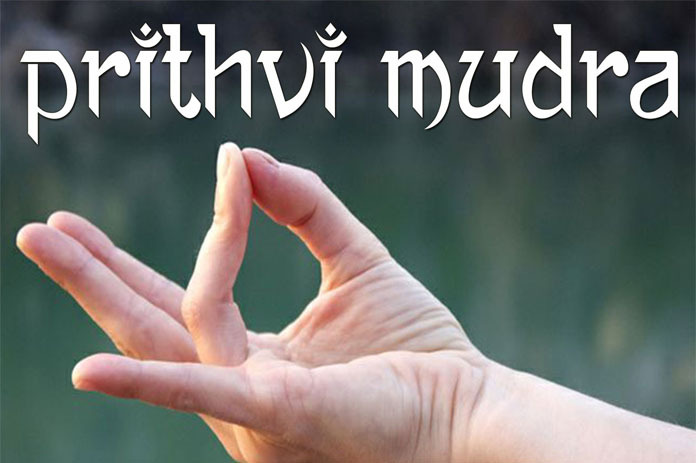 Ideally, for best results, you can practice Prithvi Mudra for a time span of thirty to forty-five minutes regularly. Morning is the best time to do such a kind of mudra and you can benefit more if you stick to a healthy diet. Despite the fact that Prithvi Mudra doesn’t have side effects, it shouldn’t be practiced by individuals who are overweight and are suffering from asthma. There are many chances to face problems if the person has problems associated with breathing. Though Prithvi Mudra might seem simple, it always impacts health. Primarily, the gesture aids in enhancing the strength of tissues. This is because the earth is considered as the prime component of bones, nails, muscles, flesh, and many internal organs. Moreover, there many other benefits as listed below. Since hair growth is linked with the earth element, the slight pressure on the tips helps in regeneration of hair. As the production of cells is increased to a certain level, hair starts growing at a quick pace. Prithvi Mudra works for a person who is underweight even if he or she has been on a nutritious diet. As the earth element is increased, the person can experience a hike in weight over a period of time. Practicing this mudra on a regular basis can help in strengthening the tissues. As mentioned earlier, the change occurs owing to the earth element. Muscular strength is also enhanced along with the development of flesh and skin. Prithvi Mudra brings in comfort if the person is suffering from ulcers. The burning sensation can also be reduced once the individual is regular in practicing the gesture. Performing Prithvi Mudra works wonders for people who have been suffering from Jaundice, fever, and problems pertaining to the thyroid. Furthermore, the mudra increases the level of minerals and vitamins. As a word of caution, a person with Kapha dosha should practice the mudra for less number of times. Finally, a person can build his or her stamina because the mudra energizes the human body to the greatest extent. Due to a positive effect on the nerves, paralysis can be overcomed after some time. A fracture occurring due to an accident can also be cured with the healing powers of this mudra.